Antioch, IL – October 7, 2017 – George H. Morris, the founding father of hunt seat equitation, will work with top riders at the Chicago clinic organized by Diane Carney and held at Rush and Caroline Weeden's Annali-Brookwood Farm November 24-26, 2017. For over 32 years Morris has been teaching in the Chicago area and continues to draw talented riders to school their horses and interested auditors taking a seat to watch will benefit just as much. "As always, I'm excited about the groups but this year I'm really pleased with the new young professionals getting involved and taking advantage of George's clinics in other locations as well," said Carney. "We also have auditors that are coming from all levels of riding from the IEA/grade school levels and riding school groups to the regulars who grab a seat in the front row every year. It's great to see riders taking advantage of the incredible knowledge and years of horsemanship George has to offer." Although riding opportunities have been sold out since May, auditing spots are always available. and the grand prix group is 2:30pm – 4:30pm. "It is our pleasure, as always, to host George's clinic," added Caroline Weeden. "All of us at Brookwood invite auditors to join us for the three days and experience this great event." Auditors receive light breakfast and lunch each day, No reservations are necessary for auditing, which is $100 per person; cash, check or credit cards are accepted. Contact Diane Carney for group rates for ten or more people. 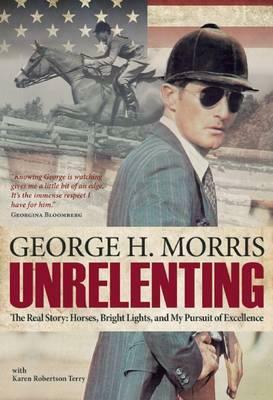 A special book signing for Morris’ new book, UNRELENTING, will take place Saturday at 5:30pm in the lounge. Guests may purchase Morris’ books, UNRELENTING and Hunter Seat Equitation at the clinic while supplies last. 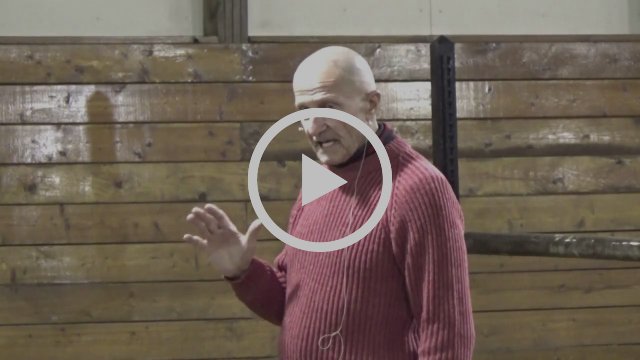 George H. Morris summary in the 2016 Chicago clinic.